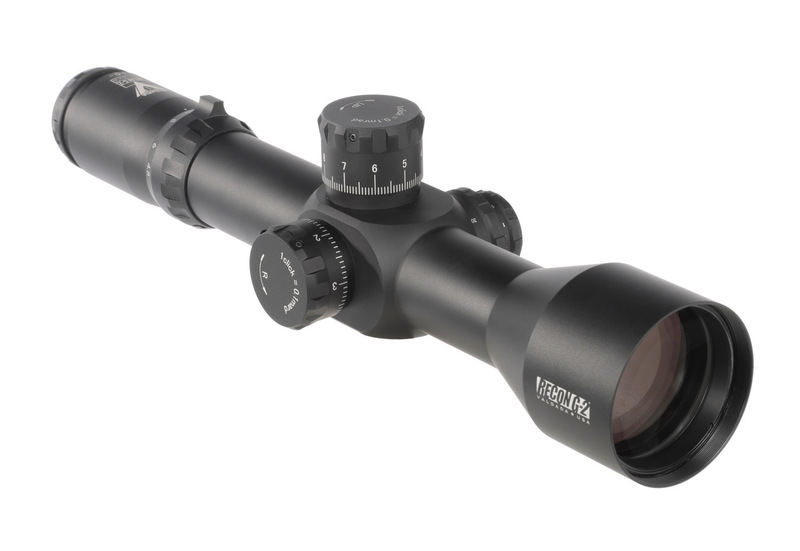 Valdada 4.8-30x56 40mm - The first riflescope manufactured in partnership with the best manufacturer in Japan. 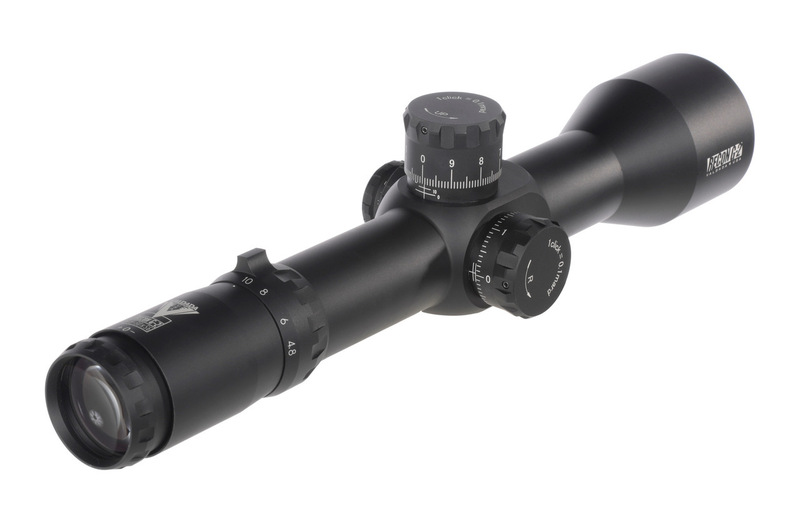 Robust, simple and straight forward features, precision mechanics and exceptional optical performance due to the perfect combination of Schott optical glass in the small diameter sections of the scope and premium HD glass from Japan on the objective lenses. Our classic X1 Mil reticle, FFP format, 0.1 mrad clicks, 42 Mils of vertical adjustments, in 10 mils per revolution. Precise and quick "zero stop" setting, 4 inch eyerelief, make it a great long range scope from 6.5 to .375 Cheytac and .50 BMG. Offered with a set of premium 40mm rings and a sunshade. FIELD OF VIEW (100 YDS.) 22.3 Ft. to 4.7 Ft.
RETICLE-TOTAL ADJUSTMENT RANGE 42 MRAD @ 100 YDS.